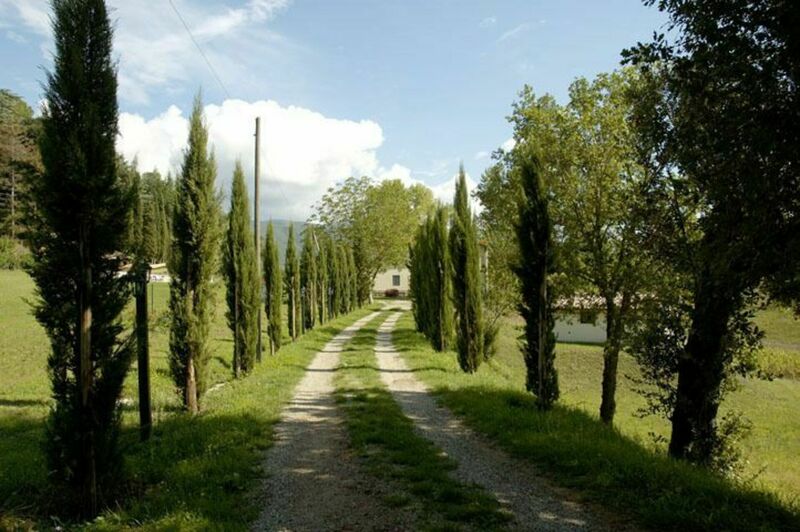 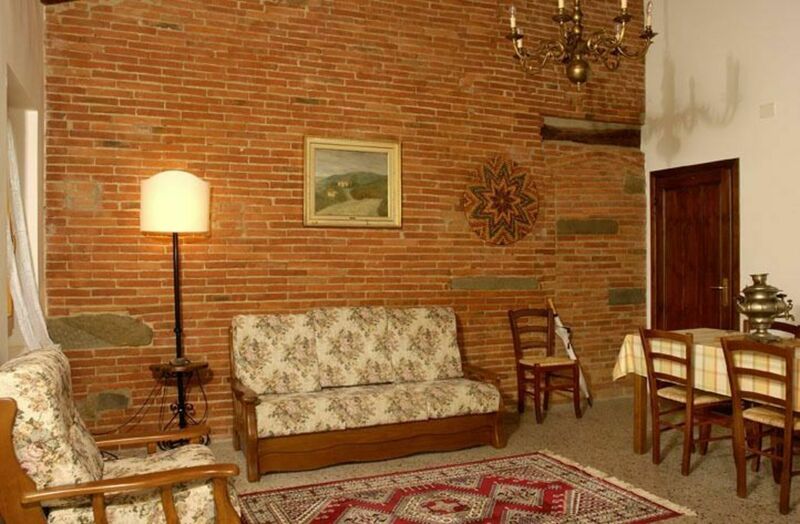 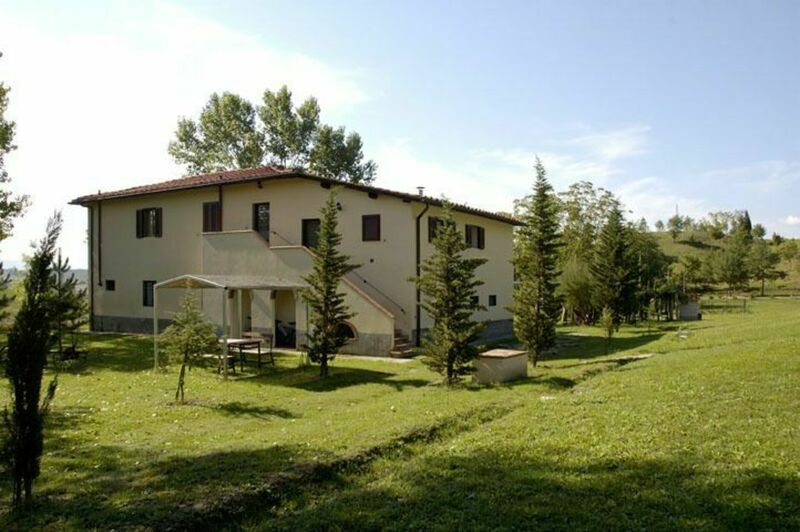 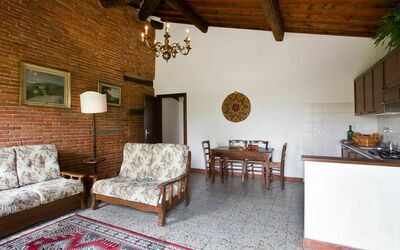 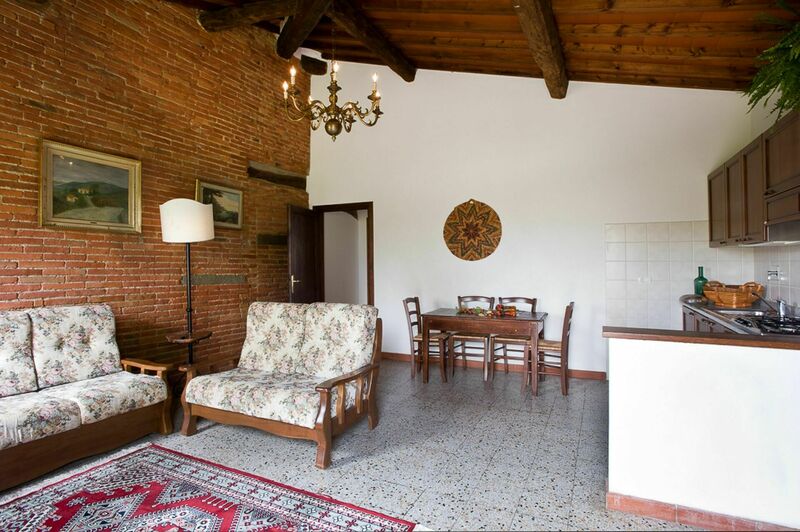 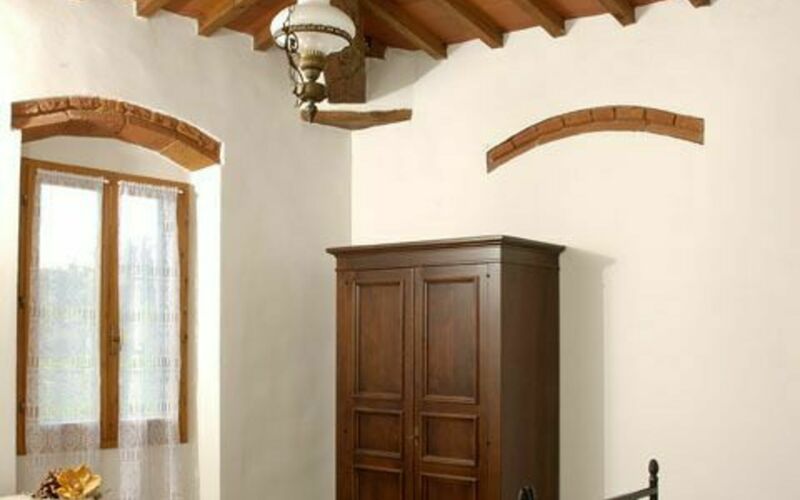 La Fattoria Di Cicogna is a beautiful property having a total of nine separate units that is conveniently located 10 km (6 mi) from Terranuova Bracciolini, Italy in the tourist area "Arno Valley" and only 32 km (20 mi) from Arezzo. 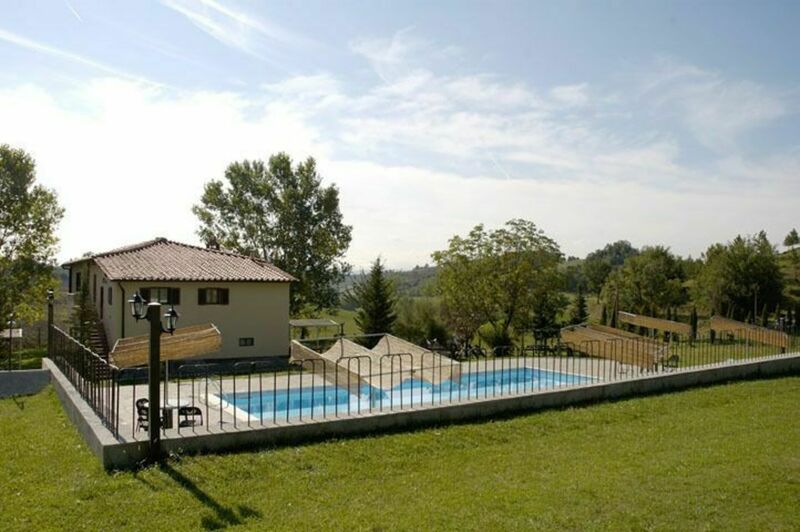 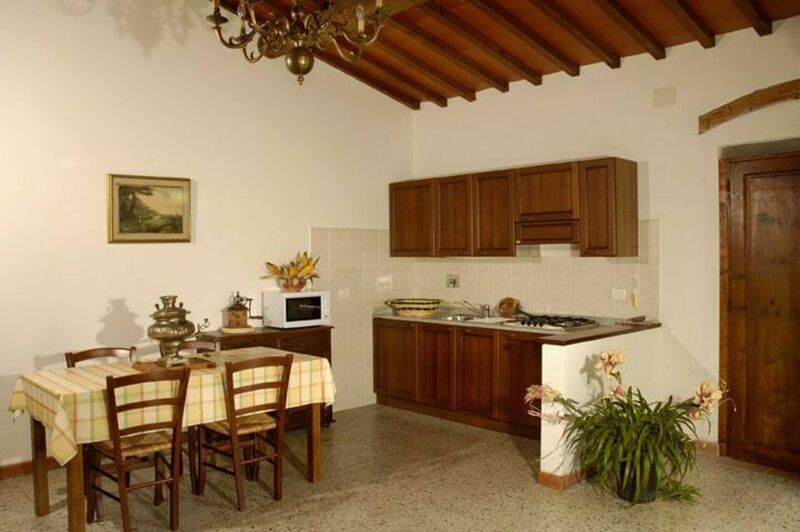 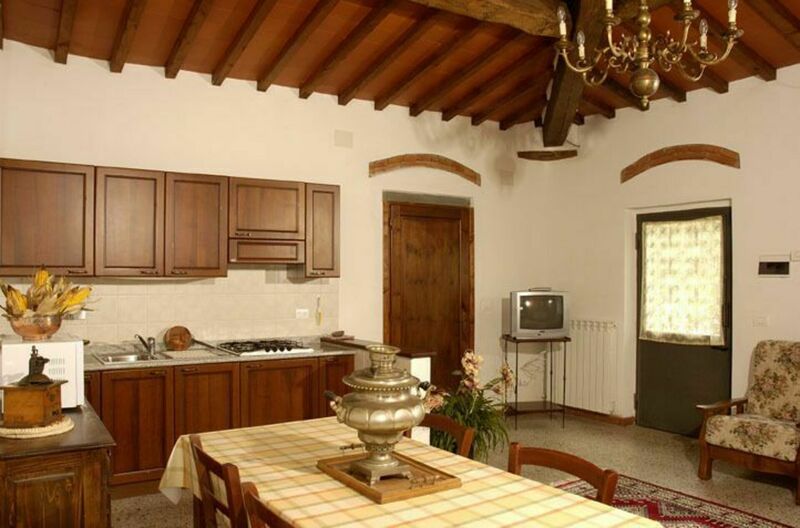 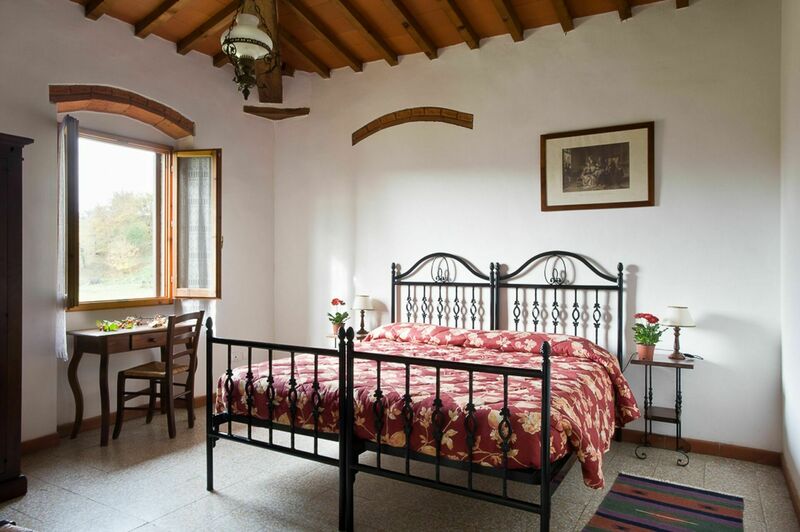 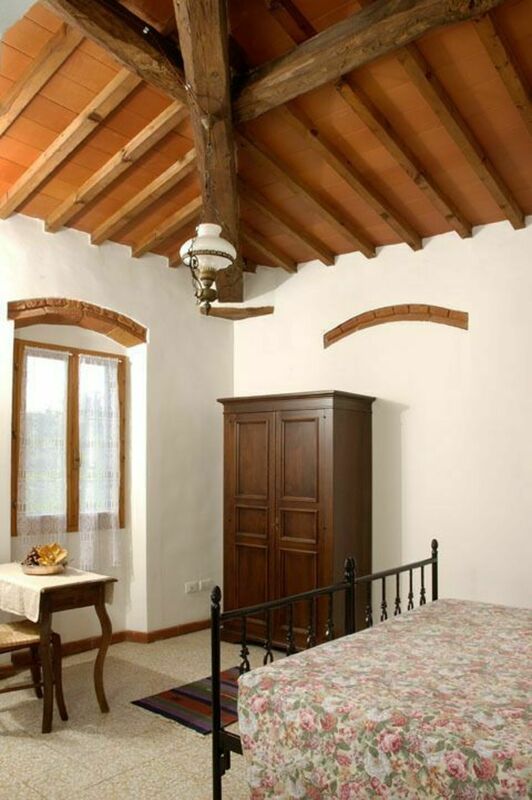 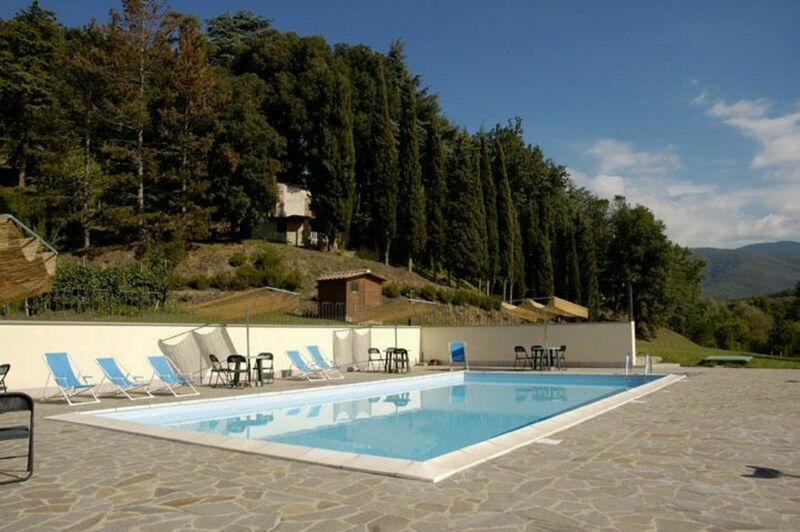 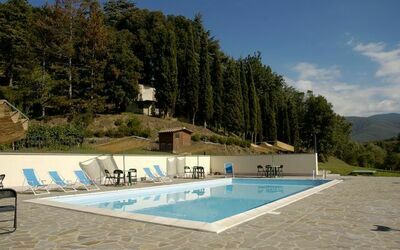 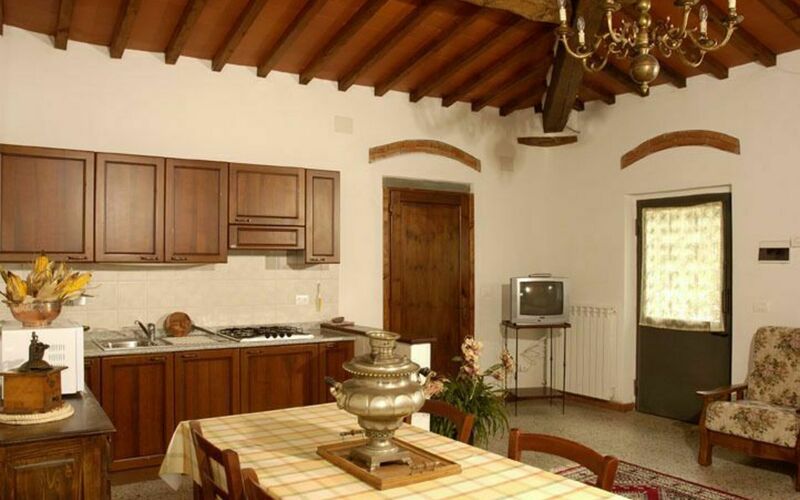 La Fattoria Di Cicogna, among other amenities, includes also shared pool and internet. 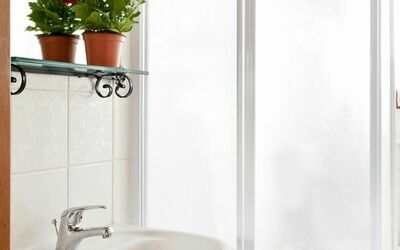 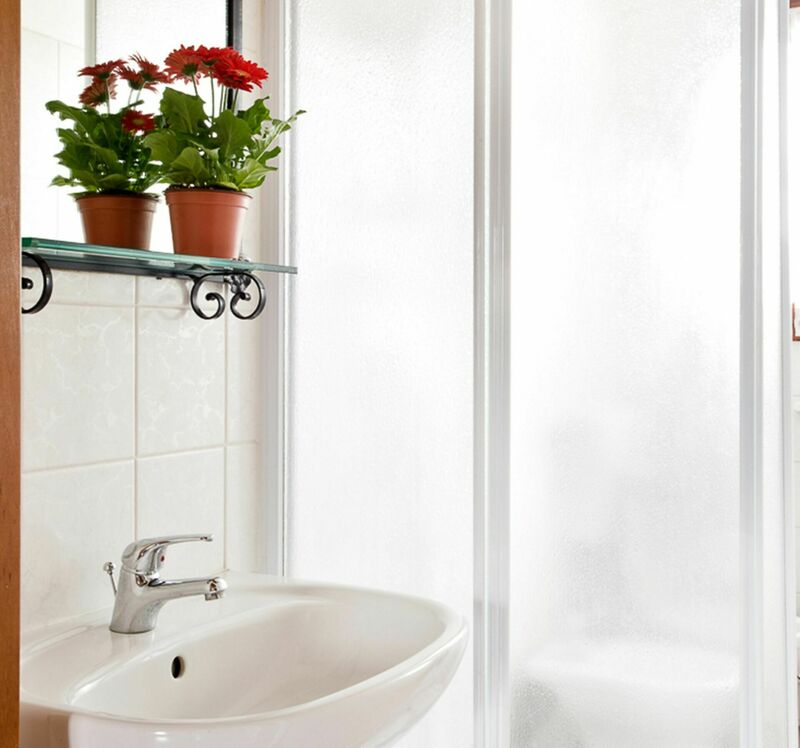 Valcellino 2- Irene is a one-bedroom unit with one bathroom and can accommodate up to four guests. In the unit is available internet connection. 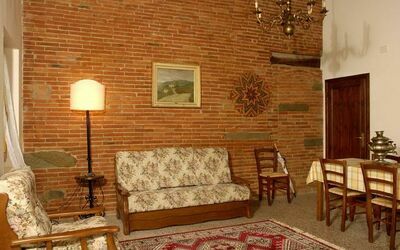 There is a kitchen including microwave, stove and refrigerator, as well as, plenty of tableware and cutlery for up to four people. 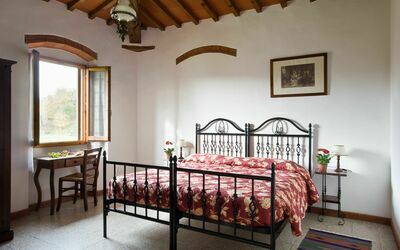 Including: kitchen + living room, bedroom, bathroom, balcony. Kitchen + living room: dining table, fridge, freezer, microwave, stove top, oven, two sofa beds, satellite tv.